In 1795, he was an unpaid general with ambition. In 1816, he was a bitter exile on the remote island of St. Helena. In the years between, he was the most powerful man in the world. From the campaign that transformed the Corsican outsider into a French hero to his bitter final defeat at Waterloo, Napoleon charts the course of a man who defied centuries of tradition and forced his will upon a continent. 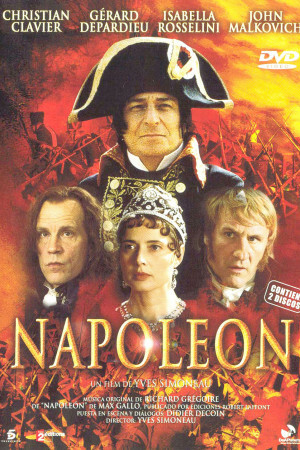 Adapted by Didier Decoin from Max Gallo’s bestselling novel, this epic production explores the private struggles, political intrigues and bloody battles that marked Napoleon’s tempestuous rise and rule.